The Dodgers sure do have a flare for the dramatics. "You're going to have a lot of chances with runners in scoring position, especially in that 3-4-5-6 range. You're not going to get it done every time. But the times you do get it done, you try to make it count," Kendrick said. "All we can do is put together good at-bats, and hopefully the results are there." Of note, Andre Ethier hit a one-run home run and Alex Guerrero continued his hot ways by hitting a two-run pinch hit home run -- a first for him in his short MLB career. Check out this new Dodger blog from a fan based in the Bay Area called "In the Belly of the Beast." Welcome to the often frustrating world of Dodger blogging. A lot is being made of the Kimbrel relief appearance last week and the way the Dodger batters handled getting mowed down. Via Mark Saxon at ESPN, "Quality at-bats + good relief = comeback potential for Dodgers." "That showed me a lot. It's kind of what we talked about wanting," Mattingly said. "Just make the guy fight for his outs. Just keep putting quality at-bats out and good things can happen for us." Via Dylan Hernandez at the LA Times, "Dodgers' Yasiel Puig wants to cut down on bat flips." Via Lyle Spencer at MLB.com, "Jackie inspired Abdul-Jabbar, generations at UCLA." "My first personal contact with Jackie was when I was in high school trying to decide which college to attend," Abdul-Jabbar wrote. "He sent me a letter encouraging me to consider his alma mater, UCLA. I already was aware of his remarkable achievements while at UCLA. He was the first athlete of any color to win varsity letters in baseball, basketball, football and track. 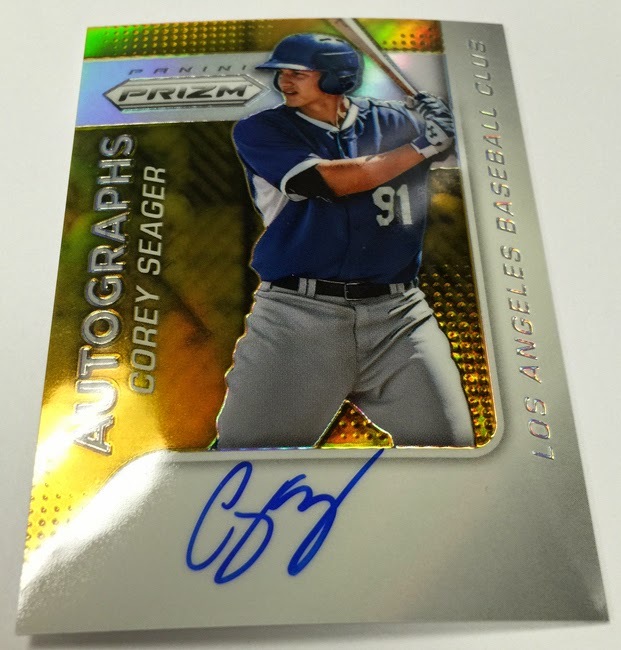 Panini provides a sneak peek preview of some of the autographed cards that will be be found in packs of 2015 Prizm. Check out the Corey Seager card on the right. Go here to check out more photos from them. 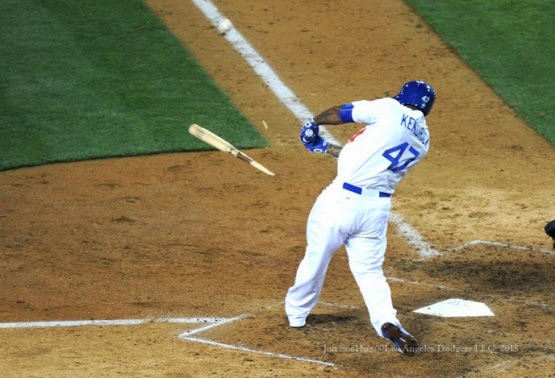 Via Mike Oz at Big League Stew, "Meanwhile in Korea, bat flips are getting even crazier." We Americans are so uptight! As a child of the 80's I distinctly remember the Cabbage Patch Kids crazy. The folks at Vice just released a video about "The Secret History of Cabbage Patch Kids," and I found it fascinating. Apparently, that Xavier Roberts guy didn't create the doll. Instead, he stole the idea. Watch it below.